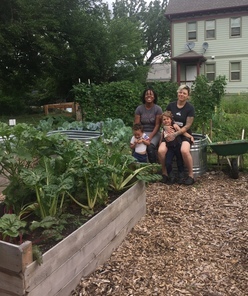 Homegrown Minneapolis celebrated another year of helping the community grow, process, distribute, eat and compost more healthy, sustainable and locally grown food. View the 2018 Homegrown Highlights. Mark your calendars for the Homegrown Minneapolis Food Council's annual community event. In Minneapolis, winter doesn't mean the end of local foods and farmers markets. Check out the various winter farmers markets open during the colder season! Stock up on fresh late-season produce, artisan crafts and handmade goods, savory treats and more. Low and no-cost compost is available each spring and fall, while supplies last, for qualifying community gardens only. The 2019 compost application will be available by the end of January and is due by April 19th for spring compost deliveries. Minneapolis Public Schools Culinary & Wellness Services (MPS) is conducting a True Food Taste Test on February 6-8 and is seeking volunteer support. True Food Taste Tests take place three times each year in school cafeterias to help generate student excitement around trying new, flavorful recipes. This year, around 20,000 students from 45 different schools will participate in True Food Taste Tests. For February’s taste test, MPS students will be sampling a new Sunrise Breakfast Grain--made with a blend of ancient grains, fruit, and spices. MPS needs volunteers to help prepare samples, distribute them to students, and generate excitement for these taste tests! Volunteer shifts take place during lunchtime, typically between 10:00am and 1:30pm, and participating schools can be found on our Taste Test webpage. If you are interested in volunteering or have any questions, please email kate.seybold@mpls.k12.mn.us. Greater Twin Cities United Way is issuing a Community Investments Request for Proposal (RFP) to secure the services of eligible organizations to address the most pressing needs for our region across three core impact areas of Economic Opportunity, Educational Success and Household Stability. The RFP will close at 3 pm on January 8th, 2019. The Good Food Access Program Equipment and Physical Improvement Grant (GFAP) increases the availability of and access to affordable, nutritious, and culturally appropriate food (including produce) for underserved communities in low and moderate income areas. Grants help grocery store and small food retailers make physical improvements and purchase equipment to stimulate sales of such foods. The application period will close on January 17th, 2019. Non-profit organizations and public agencies with capabilities to provide technical assistance to eligible grocery stores and small food retailers are invited to apply for the Good Food Access Program Technical Assistance Grant. See the Request for Proposal (RFP) for more detail. The application period will close on March 14th, 2019. Lakewinds Organic Field Fund (LOFF) is a grant program dedicated to making an impact on local farming and organic food, supported by Lakewinds Food Co-op. 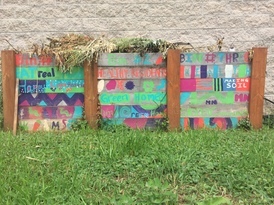 The goal of LOFF is to provide funding to farmers working on the development and sustainability of organics through: financial support for the process of organic transition, earning organic certification, improvement to packing sheds and other facilities, purchase of equipment and tools, purchases that increase farm productivity or efficiency and projects that improve soil health. The application deadline is February 1st, 2019. Neighborhood Health Connection Grants support communities in building social connections, among the same group of adults, through healthy eating and physical activity. Any community nonprofit or local government can apply. The 2019 Neighborhood Health Connection Grant application period will close on February 14th, 2019. The Environmental Justice Small Grants Program supports and empowers communities working on solutions to local environmental and public health issues. The program is designed to help communities understand and address exposure to multiple environmental harms and risks. Environmental Justice Small Grants fund projects up to $30,000, depending on the availability of funds in a given year. The application period will close on Friday, February 15th, 2019. The Beginning with Compeer Financial Grant Program is available to farmers who reside in Compeer Financial’s 144-county territory, have started farming no longer than ten years ago, and demonstrate farming as the applicant’s part-time or full-time vocation.